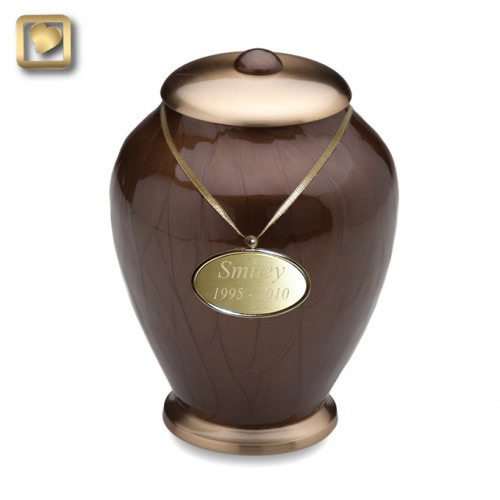 The Simplicty Bronze Pet Cremation urn features a beautiful bronze pearlescent enamel finish on a solid brass body. The lid and base have a brushed brass finish. The urn is protected with a specially formulated GlossCoat™ for added protection. Engraving is available with our pendant medallion. Pendant will ship via USPS 1-2 business days after ordering.